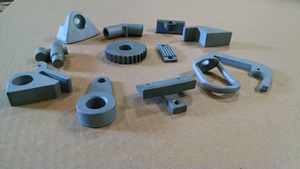 Dating all the way back to 1944, Rimer Inc. has been laser focused on providing products that might and exceed your expectations through the investment casting process. From customer interaction to the delivery of your final castings our team gives each part of the process their undivided attention in order to ensure that products you receive from Rimer Inc. are some of the best in the industry and fit your application in a way that provides the most advantages possible. We are proud to say that we utilize our own tooling shop, something that most of our competitors do not. This means that we are in total control of the quality of your product. 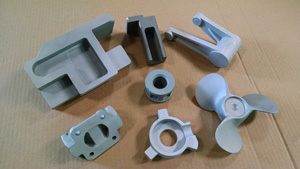 This also means that on top of the investment casting process we are able to provide our customers with a number of other secondary operations and services such as machining, heat treating and surface finishing. So if your part requires some form of tapping or grinding, Rimer Inc. can offer those services. If you need specific plating, our surface finishing services are right for your application. On top of these operations, Rimer Inc. also has a number of quality testing services available to you from mag particle testing to tensile testing and liquid penetrant testing. Whatever your need may be, Rimer Inc. is here to provide you a high quality product along with a premium customer service experience. Contact us today at (419) 878-8156 or send us an email at sales@rimerinc.com and we will be happy to respond to any questions or inquiries you may have.